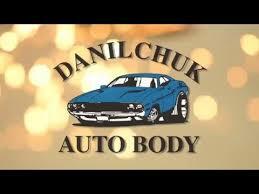 At Danilchuk Auto Body we specialize in expert collision repair service. Family run since 1989, we strive to bring to you the best quality repair you deserve. Our state of the art OSHA certified facility is equipped to handle any and all of your collision repair needs. We offer superior service and a lifetime guarantee on all repairs. Our dealer trained staff and technicians are constantly being educated on new technology and equipment.